Mexican coffee or “Café de Olla” for those long nights. Mexican coffee or “Café de Olla” is a drink commonly served in the Mexican cuisine after dinner and paired with dessert or pastries and also during breakfast time or for those long nights. Coffee is also a drink that sparks conversation and and eases the pain of the soul when you lose a beloved one waiting for the time to lay this special person for final rest and now that Day of the Death is approaching I thought the Mexican Coffee recipe is appropriate to celebrate and remember all that have passed. Preparation time: 15 minutes. This Mexican Coffee recipe serves 4 cups. Cost per person is less than $0.50 cents. You will need a french press and a saucepan. Traditionally this coffee is done on a clay pot which also provides a distinct flavor, but since those clay pots are difficult to find here in the states the use of the french press is recommended. Start by pouring the water in a saucepan, add the brown sugar and the cinnamon sticks. Let the water simmer for few minutes until the “piloncillo” or brown sugar are melted. Then in the french press add your ground coffee and pour this sugar and cinnamon water, make sure to remove the cinnamon sticks before pouring. Allow the Mexican coffee to steep for few minutes and then serve on a coffee cup or “tarrito” and accompany with pastries or “pan dulce”. Mexico is a country of culture and traditions and November 2 marks the celebration of the Day of the Death; this is the chance for us to remember there is life after death and that death can be celebrated the same way we celebrate life. 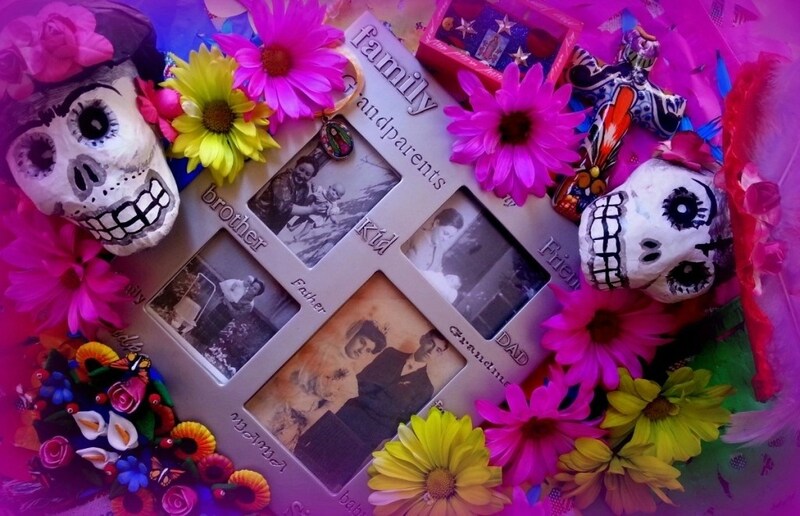 Part of the celebration aside from the great food it also incorporates the crafting of verses called “calaveras” used to celebrate those alive and also those that have passed. The calaveritas are short verses usually satirical and written as an epitaph with comic expressions linking activity, profession, and social position to whom they are dedicated to. 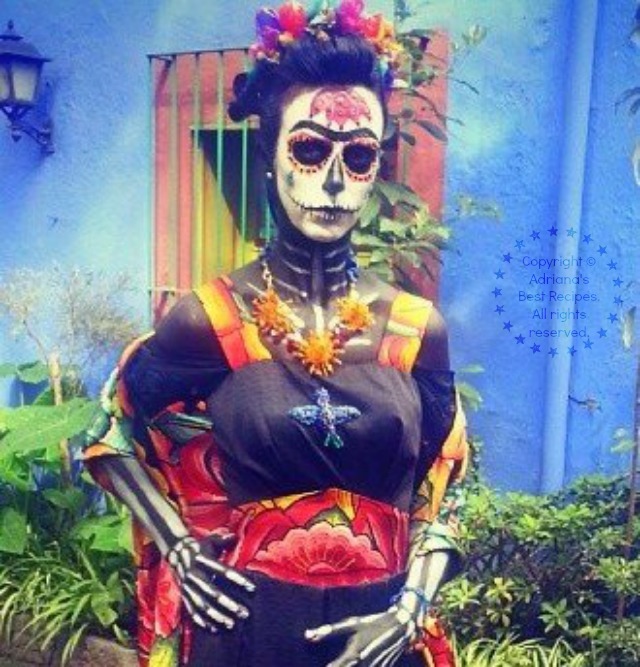 …Now in the cemetery the bony death built a nice cantina decorated by someone called Diego Rivera to come and cheer with her! 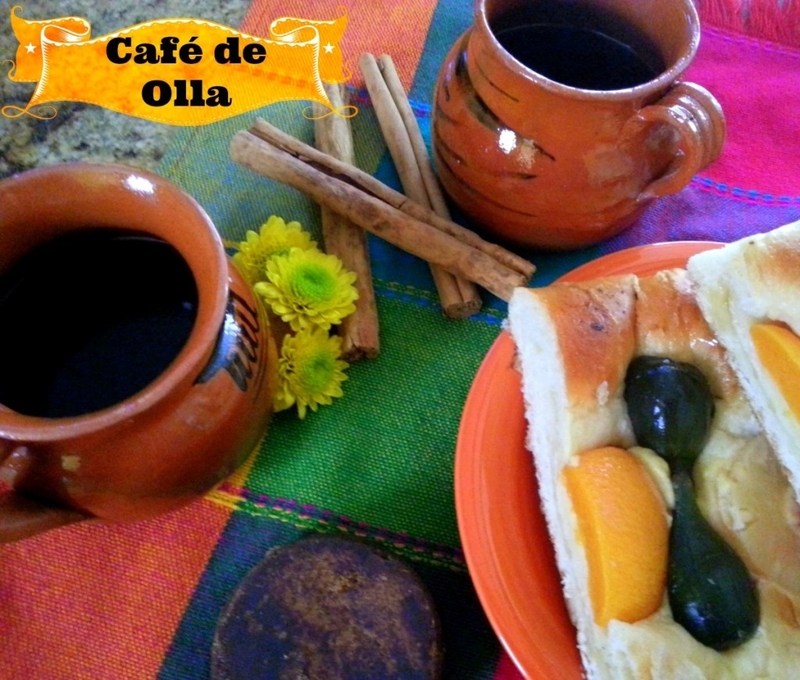 Let’s celebrate those that live in our hearts and thoughts and cheer for them with this Mexican Coffee or “Cafe de Olla” that after the first sip I am sure will become a drink to cherish not only for Day of the Dead. A mi esposo le encanta el café de olla, pero yo no tenía idea de como prepararlo, ahora no tengo pretexto para no consentirlo, gracias por la receta. Gracias Ely por tu visita en efecto el Café de Olla es muy rico y como ves muy facil de hacer saludos a ti y a tu esposo! Cada vez aprendo algo nuevo de esta tradición. Yo siempre le agrego canela en polvo al café. Le dá un sabor muy ríco. Gracias Karina sin duda la canela le da un sabor muy especial al café! Que lindas fotos, Adriana. Me encanta el café de olla. Yo estaba loca porque llegara mi viaje a Guadalajara para tomarlo, pero creo que con tu receta lo voy a adelantar en casa. Que lindo que vas a Guadalajara no te pierdas las tortas ahogadas son divinas! El cafe de olla es super delicioso!! que bonita tradición! Nunca probe cafe de olla, pero sin duda tiene que estar delicioso. Gracias por enseñarme cosas nuevas acerca de la tradicion! sale tan rico saludos tocaya! Me eeeeeecanta el café! Tanto que tengo un frasco de café de olla en el escritorio de mi oficina! No conocía esta versión del café. Qué mucho aprendo de la cultura mejicana contigo. Qué rico se oye eso de canela en el café. Nunca lo he probado. Me gusta el café y me encantaría intentarlo. Sale muy bueno amiga, saludos! wow pan de muerto me encanta y va perfecto con este cafecito! Yo no puedo tomar cafe pero me gozo todas las tradiciones del Dia de los Muertos. Si me levantara con una taza de café de olla cada mañana mi vida sería aún mejor. Mmmm! Pues hay que darle el tip al maridin! I can already taste it!